This is a phenomenal month for federal challenge and prize competitions with 12 new programs launched in February. The challenge.gov platform usually averages four to six new challenges a month, so we’re excited to see the year start off with a big push to engage citizens in creative problem solving. Proposals may include innovation, enhanced infrastructure, and effective outcomes for a focused amount of time (e.g. one year) on a project of choice that serves the needs of the Asian Americans and Pacific Islanders community. The Challenge is to think beyond the existing work and to propose an idea that would make a meaningful impact on the community. Do you have what it takes to create innovative tools to address our nation’s transportation challenges or revolutionize the way Americans see and understand the transportation system they use every day? Create a tool to address systemic challenges by accessing publicly-available federal and/or local DOT datasets. 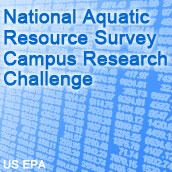 Aquatic Resource Survey (NARS) Campus Research Challenge gives undergraduate and graduate students the opportunity to use NARS data to conduct further scientific research and analysis. This challenge is intended to encourage external, innovative research and information development in support of enhanced water management at multiple scales. Challenges developers to create applications and innovative tools that raise awareness of consumer safety reports submitted to CPSC and of recalls of consumer products. Create an online model notice of privacy practices for health care providers and health plans that is compelling, readable, and understandable by patients and is easily integrated into existing entity Web sites. Design and create an online, interactive tool that utilizes federal travel data to increase transparency and accountability. GSA’s Office of Government-wide Policy, sponsor of the Travel Data Challenge, is looking to bring a quantitative approach to the data the federal government collects in order to help agencies make smarter business decisions, and to allow them to drive cost savings. Cities experiencing chronic economic distress want to create and adopt actionable development plans and proposals. This competition is designed to assist cities by leveraging innovative ideas and approaches from diverse perspectives. How are you reducing carbon pollution or preparing for the impacts of climate change? The first annual Congressional Science, Technology, Engineering and Math (STEM) Academic Competition. A nationwide event that allows high school students from across the country to learn by creating and exhibiting their software application, or “app,” for mobile, tablet, or computer devices on a platform of their choice. Create an innovative** algorithm** that uses data from recent studies to predict trustworthy behavior, based on volunteers’ neural, physiological, and behavioral signals. 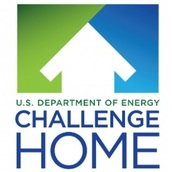 Learn more about the federal-wide challenge and prize program and sign-up for upcoming training and events.